Arcanine is supposed to look like a dog not a lion. 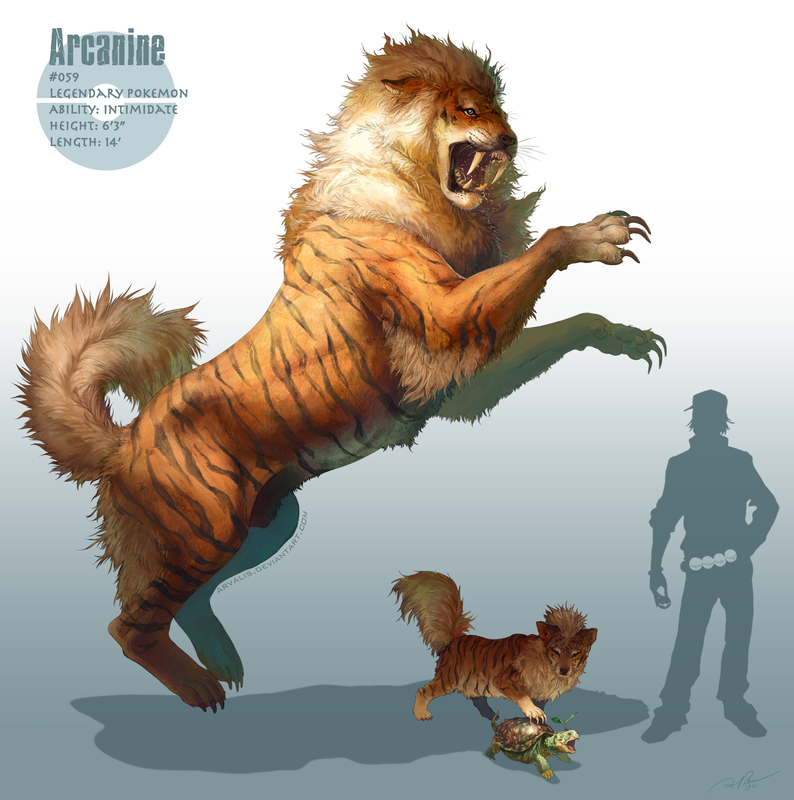 In this pic, Arcanine is a fusion of both because he has tiger like stripes. Remember it's supposed to be "freaky" and "realistic"